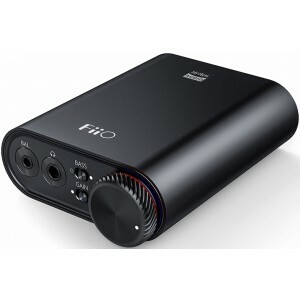 FiiO K3 headphone amplifier/DAC offers pocket-sized power flexibility, 2 USB modes, dual headphone and digital audio outputs and ADC volume control. 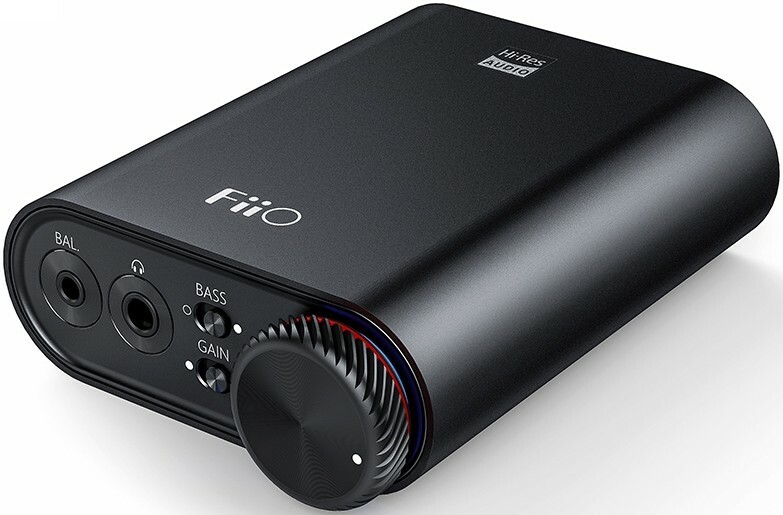 FiiO K3 is equipped with an XMOS USB receiver chip capable of decoding up to 384kHz/32-bit PCM and native DSD256 – the same as many DACs costing much more. The K3’s dual crystal oscillators ensure that any digital audio signal; being fed into the DAC are exactly correct for further enhanced sound quality. Just connect the K3 to your computer via USB to instantly upgrade to high-fidelity sound, and enjoy your music the way it was meant to be heard. The K3’s well-thought-out internal design consists of two main layers, working together perfectly in harmony. Digital processing is carried out by the high-performance AKM AK4452 with 32-bit VELVET SOUND technology and fully differential outputs for true balanced output, while the analog signals are handled and amplified by a design consisting of LPF/voltage amplification and a current drive circuit. The combination of the proven OPA926 with its low-distortion, low-noise, and high output swing along with the professional-grade TI OPA1612 acting as the low-pass filter (LPF) ensures the K3 effortlessly provides high resolving sound, pumping out 320mW at 16ohm from the balanced output. The K3 adopts the modern USB Type-C input interface for a more reliable and stable connection, including that of power. However, care to ensure an uncompromised power supply doesn’t stop there – the K3 implements overvoltage protection (OVP) and double-filter circuit to ensure power supply stability, while the digital and analogue audio circuits each get their own power supply to greatly reduce crosstalk. The switch for high and low gain ensures that you can use the K3 with a wide variety of headphones, and that your listening volume needs are covered. The hardware bass boost switch enhances the dynamic range of the lower frequencies and gives them some extra punch to really make your songs, games, and movies come to life. The all-aluminum black body has been painstakingly CNC-machined, anodized, and sandblasted to ensure that the K3 feels robust yet perfectly textured for a great feel in your hands. Combined with its small size, you can easily take the K3 wherever you need to. The volume knob, with 45-degree notches etched onto its surface and perfectly sized to allow easy one-finger operation, is design to perfectly blend in with the curves of the K3’s body for a distinctive touch. Next to the volume knob is an RGB light that indicates what kind of digital audio is being input to the K3, visually confirming what you are hearing in your music. Being optimized for indoor desktop use, the K3 is equipped with both 3.5mm sigla-ended and 2.5mm balanced headphone jacks. Both outputs have audio jack detention, which means that when headphones are inserted into the balanced out, balanced boost automatically kicks in resulting in about a 50% output power increase compared to the sigle-ended out. The 3.5mm line out is driven directly by the OPA1612 op-amp, to ensure as little sound quality reduction as possible. The line out output is also adjusted with maximum power output up to 2Vrms, to ensure compatibility with a wide variety of active speakers and external amplifiers. 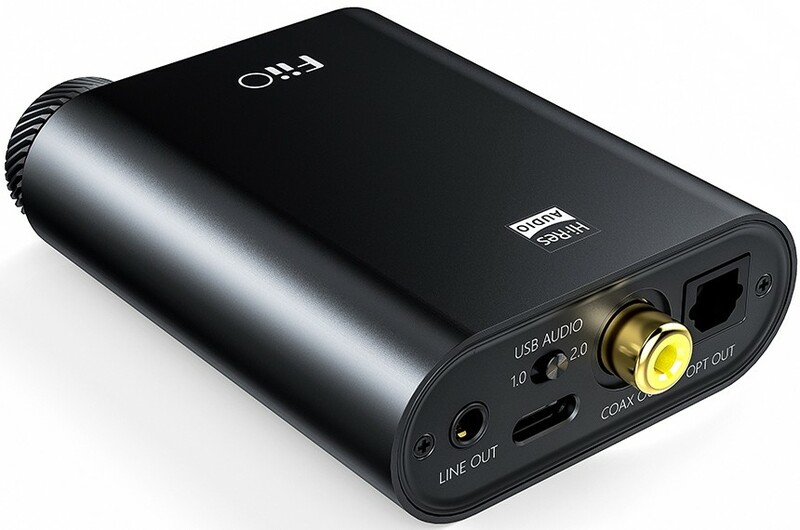 The XMOS USB receiver chip in the K3 directly coverts any USB audio input to digital signals output via the coaxial and optical connectors, allowing you to connect to speaker systems, amplifiers, or other external decoders.